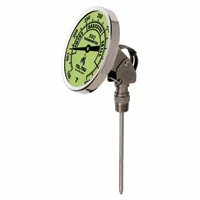 This 4 inch long stem smoker thermometer has a huge 5 inch anodized aluminum Dial face with temperature range from 100 to 500 degrees. 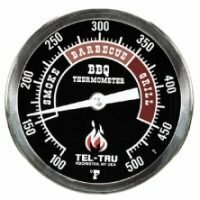 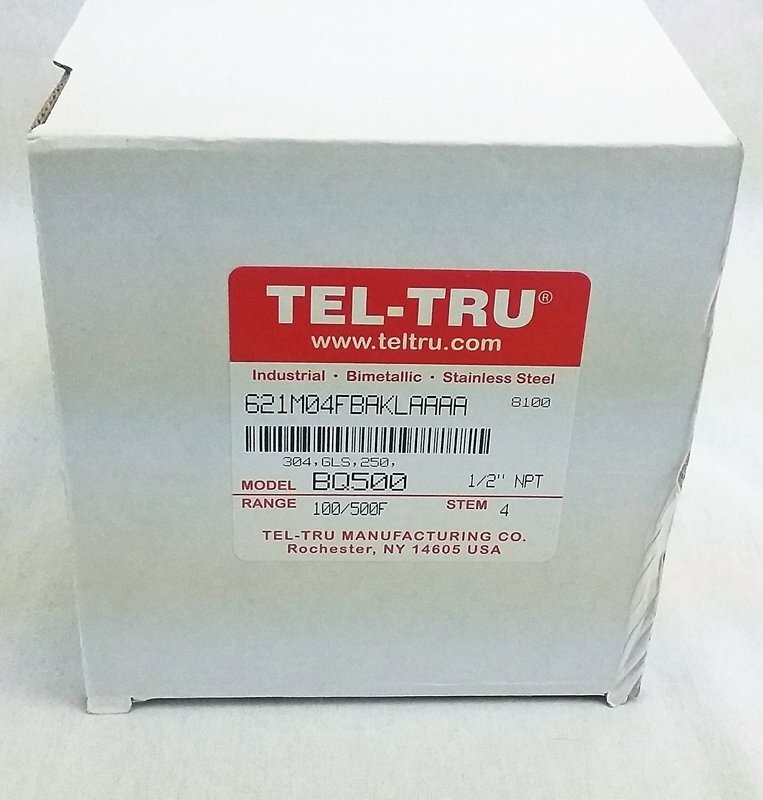 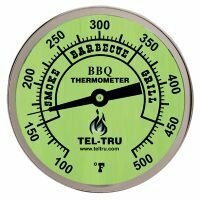 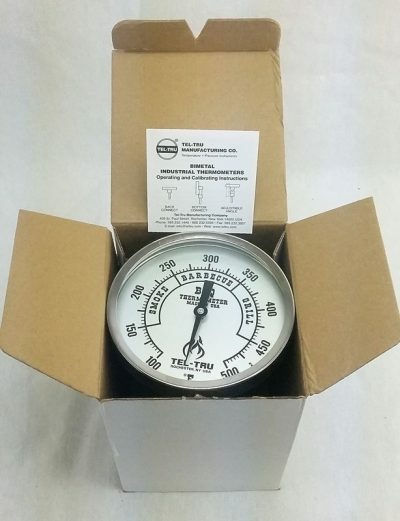 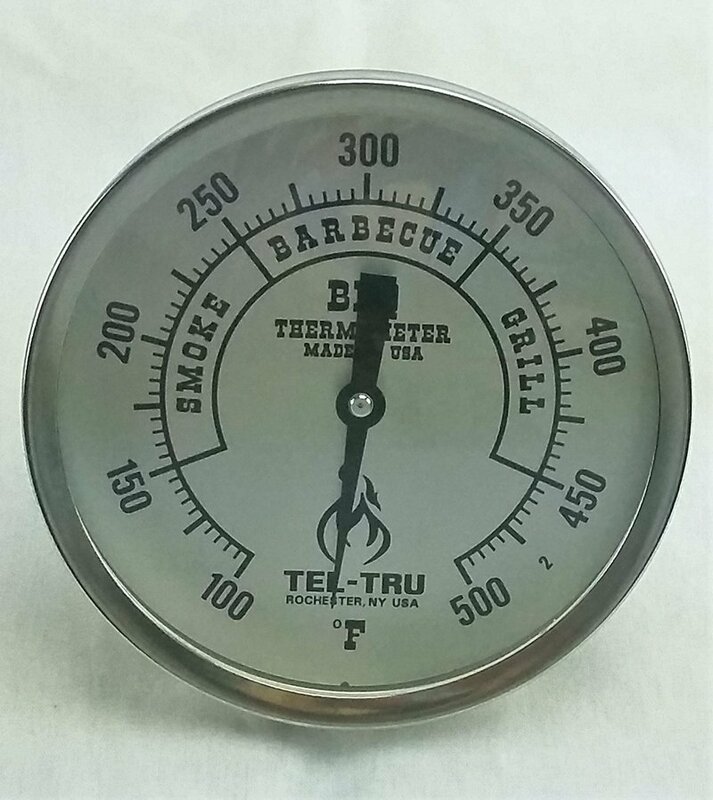 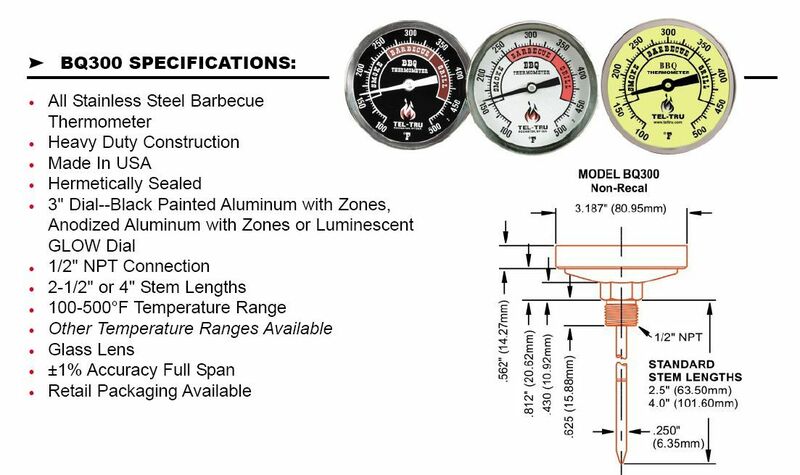 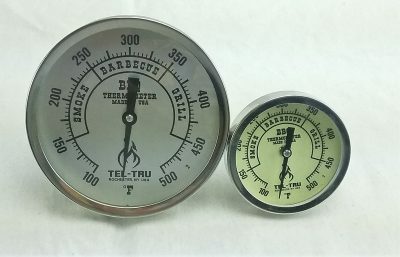 Tel-Tru smoker thermometers are the kind the professional barbecuers use. 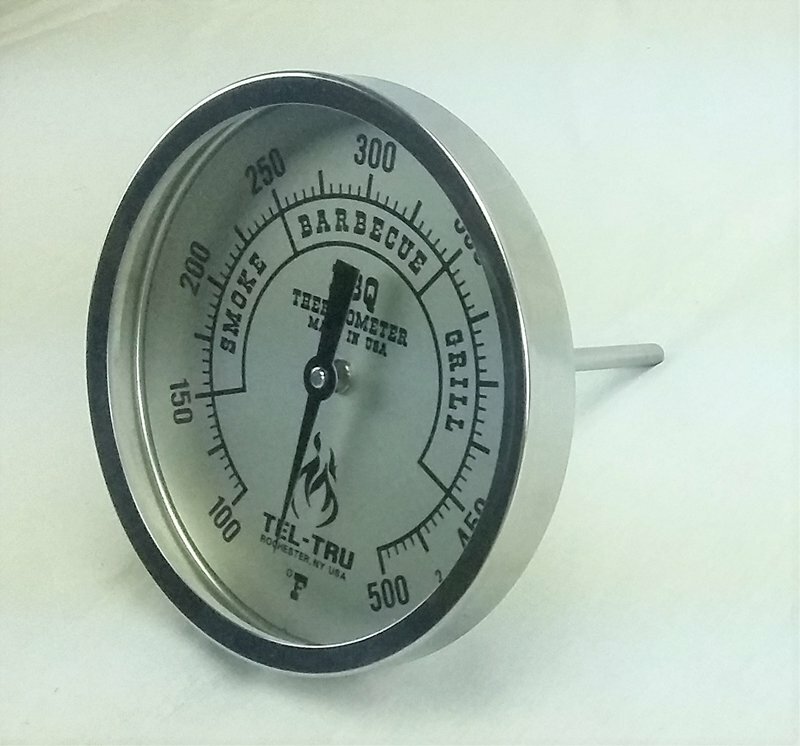 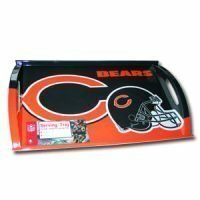 Designed for use in a commercial size barbecue pits. 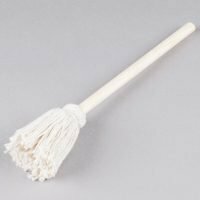 The stem is 4 inches long and .250″ Diam. 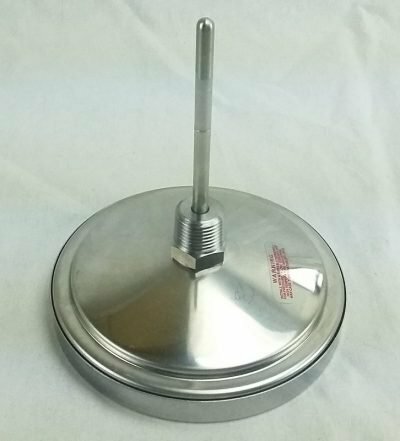 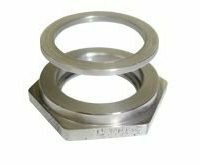 The stem is threaded at 1/2″ NPT and will fit any 7/8 inch hole and will mount using the installation kit Mounting nut and washer are NOT included sold separately here.